Memorial Day is the unofficial start of the summer season, and millions of people in Washington state are enjoying the return of warm weather, clear skies, and sunshine in the evenings. Unfortunately, the summer months come with an unexpected downside: they’re the deadliest time of the year for teenaged drivers. Memorial Day is the beginning of a time of the year when teen drivers are at an increased risk of both dying in crashes and causing fatal car accidents. 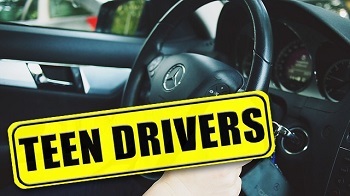 A study found that in the years 2010 through 2014, over 5,000 people died in crashes involving teen drivers in the 100-day period following Memorial Day. As schools close for the summer, teenagers are often left without adult supervision during the day. Working parents have to trust teenagers to get themselves around town. Teenagers often pick up jobs during the summer months, which means working out their own transportation logistics for the first time in their lives. Without early school start times to structure their days, they’re also more likely to stay up late and drive after dark. The teenage years are an important time for letting young adults learn responsibility. Unfortunately, not every teenager is ready to safety and responsibly operate a heavy vehicle around other drivers. Researchers have found that certain parts of the human brain are still in development during the teenage years. Teens process a large portion of their emotions through their amygdalas, the part of the brain that handles instinctive reactions and the “fight or flight” response. As people age, emotional processing shifts to the frontal lobes, which handle behavioral inhibition and control impulses and instincts. When teenagers act impulsively or do unsafe things without thinking about them, that’s because they haven’t yet developed an adult’s ability to control their impulses. Researchers who looked at the behavior of teenagers on the road have found that trends in teens’ driving habits are changing rapidly. When cell phones were heavy, expensive devices used mostly by business travelers, few teens were found to have interacted with an electronic device inside their vehicle shortly before causing a crash. As cell phones got cheaper and more prevalent, more teens held their phones to their ears to talk. In recent years, teens were most likely to be looking down at their phones or texting. Any distraction behind the wheel is dangerous, but looking down a phone can be particularly hazardous. Traffic safety researchers have found that it’s only safe to take your eyes off the road while driving for a maximum of 2 seconds. On average, it takes drivers at least 5 seconds to send a text message—more than double the amount of time anyone should be looking away from the road. Repeatedly switching your gaze between a distracting device and the road can also cause a psychological state known as inattention blindness. Even when there’s an obvious obstacle in the road ahead, the distracted brain doesn’t notice it until it’s too late to stop safely. It’s no secret that underage drinking peaks in the summer. Less supervision and structure, especially at night, means it’s easy for teenagers to party without their parents around. Teens who are leaving for college may take the opportunity to drink with friends before going their separate ways. Others who are returning from their first few years away at college may have already been introduced to alcohol. The summer months also mean that teenage drug use peak. Teens are more likely to try marijuana, hallucinogens, and inhalants during the summer, and drug abuse among teens peaks in June and July. As a parent, it’s your responsibility to talk to your teenager about how to drive safely. It’s also up to you to make sure that you understand your legal rights and responsibilities before letting your teenager use your family vehicle or adding them to your car insurance. 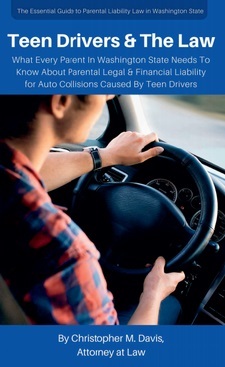 Davis Law Group has released a booklet for the parents of teenaged drivers designed to provide helpful information about teen driver accidents and the financial issues that can result from them. You can order that booklet for free through our Washington Accident Books™ program. The booklet is the perfect size to keep in your car’s glove box, and it contains all the information you need to make decisions as a parent to a teenager.